Shielding your eyes from airborne debris, windburn, and chemicals is essential to maintaining the health of your eyes. Whether you are an outdoor sports enthusiast or someone whose work requires exposure to chemicals and debris, prescription safety glasses with foam gaskets offer an unparalleled degree of protection for your eyes. Below is a look at the key benefits of safety eyewear with foam gaskets. What situations warrant prescription safety glasses with foam gaskets? Data from the National Institute of Occupational Safety and Health (NIOSH) indicates that there are roughly 2,000 workers per day who suffer a job-related eye injury. Over 100 of these workers miss at least one day of work as a result of their injuries, highlighting the need for additional eye protection. Exposure to high winds increases the likelihood that dust or debris can enter the eye area. Without proper protective eyewear, you run the risk of suffering a corneal abrasion or other eye injuries that can result from sand or dust scratching the surface of your eye. Even the smallest particles can cause painful eye injuries that can take weeks or months to properly heal. A growing number of workers are exposed to liquids, solvents, and hazardous chemicals on a regular basis. Examples of job-related activities that might expose employees to such chemicals include solution preparation, opening and closing centrifuge tubes, pipefitting, and handling syringes. What are the key benefits of safety glasses with foam gaskets? 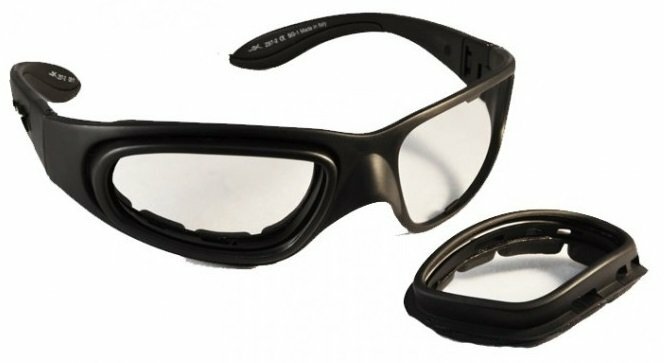 Foam gaskets on safety glasses provide extra protection for workers who are regularly exposed to airborne materials and objects which could cause severe damage to the eye. Together with durable, impact-resistant prescription lenses, they help prevent flying particles from harming the eye or surrounding area. The addition of foam gaskets serves multiple purposes. In addition to providing added protection, foam gaskets provide an added level of comfort for people wearing prescription safety glasses. The foam gaskets snugly but comfortably adhere to the wearer’s face to create a seal that guards the eye area against debris and chemicals. The skin around the eye area is thin and prone to cracking and drying. Protective eyewear with foam side shields helps to protect the delicate skin around the eye area from windburn and extreme temperatures. At the same time, the soft foam gaskets also prevent the glasses from rubbing the skin around your eyes. Before the emergence of sophisticated safety eyewear, employees would often have to remove their safety glasses to troubleshoot foggy lenses. This habit puts employees at an increased risk for eye injury even if safety glasses are only removed for a short period of time. 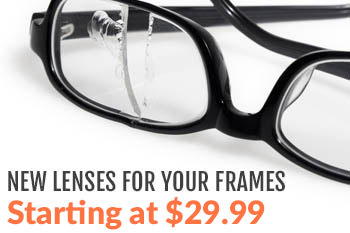 Fortunately, today’s prescription glasses with foam side shields are available with a variety of anti-fog options. These options are ideal for employees and outdoor enthusiasts who engage in activities that are undertaken in extreme temperatures or which require a high level of exertion. In the past, safety glasses were primarily unisex. They were offered in a “one size fits all” fashion that made it difficult for women and people with smaller faces to achieve a complete protective seal around the eye area. The latest prescription safety glasses are available in versions for both men and women. In addition to providing a more secure fit, modern safety glasses with foam gaskets are also available in a variety of styles and colors to satisfy gender-specific preferences. The option of easily removing the foam gaskets on your safety glasses is beneficial for many reasons. First, the ability to remove the side gaskets makes it easy for you to thoroughly clean all components of your safety glasses. 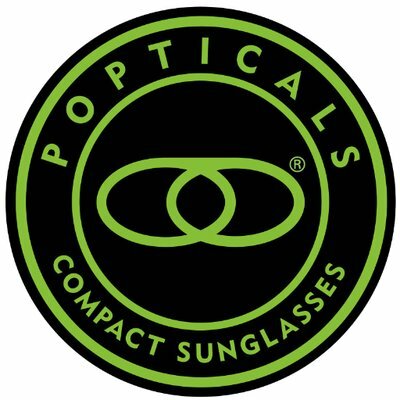 Second, the “convertible” nature of these safety glasses enables wearers to easily transition from a potentially hazardous area to a minimally dangerous environment. Today’s cutting-edge prescription safety glasses with gaskets are designed to protect you from 99.9% – 100% of harmful UV light. UV protection is especially important for employees who work long hours outdoors and who are at an increased risk of skin cancer. When combined with the regular application of sunscreen, prescription safety glasses offer a stellar level of protection for the people who wear them. How do you care for safety glasses with foam gaskets? Invest in a sturdy storage case for your glasses. If possible, keep one or two spare cases on hand. Always follow the manufacturer’s instructions when cleaning your safety glasses. Most importantly, make sure that you address any signs of damage or improper fitting as soon as you notice them. Examples include scratches, bent temples, pitted lenses, and loose components. If you need to replace any key components, make sure that you use the components provided by the original manufacturer. Failure to address small problems right away may lead to more serious damage or may require complete replacement of your glasses. We invite you to contact us to learn more about the benefits of safety glasses with foam gaskets. As an international leader in safety eyewear, Rx-Safety.com is dedicated to helping our customers obtain the highest quality eyewear at prices that are well below those of our competitors. We possess all of the qualities mentioned directly above and are always searching for new ways to delight our customers. With our family-owned approach, you will enjoy peace of mind knowing that we do not outsource production of our customers’ orders. We look forward to becoming your trusted resource for all of your safety eyewear needs!